New Directions Publishing Corporation, 9780811215398, 80pp. With a splendid lyrical physicality that accentuates Shabtai's terse immediacy and matter-of-fact scorn, the poems cover a period of six yearsfrom the 1996 election of Netanyahu as prime minister through the curfews, lynchings, riots, sieges, and bombings of the second intifada. 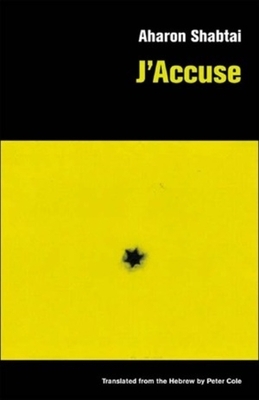 But at the heart of J'Accuse is the fate of the ethical Hebrew culture in which the poet was raised: Shabtai refuses to abandon his belief in the moral underpinnings of Israeli society or to be silent before the barbaric and brutal. He witnesses, he protests, he warns. Above all, he holds up a mirror to his nation.